Our client was a Back office outsourcing company based in Campbell USA– Providing virtual assistant, data entry and back office ecommerce solutions for small and mid-sized eCom businesses in USA & UK. Problem – when client contacted us they were not getting any traffic and leads form search engine. We had a small consulting session with them and discussed all the problem areas. The best solution for their problems was search engine optimization, which is the best way to reach out relevant traffic and leads. Challenge – Achieve greater visibility in Google’s search result pages. The client’s website was having low domain authority while the competitor’s websites was ranking on the top and having a good authority. 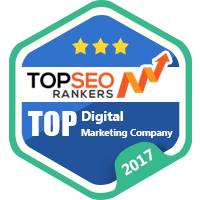 Our aim was to develop a strategy that can help our client to gain top rankings along with a robust domain authority & trust. The ultimate challenge was to get to Page 1 of Google’s search results and drive traffic & leads. Write to us if you want to know the procedure and how we have achieved the 674% increases in Organic Traffic.